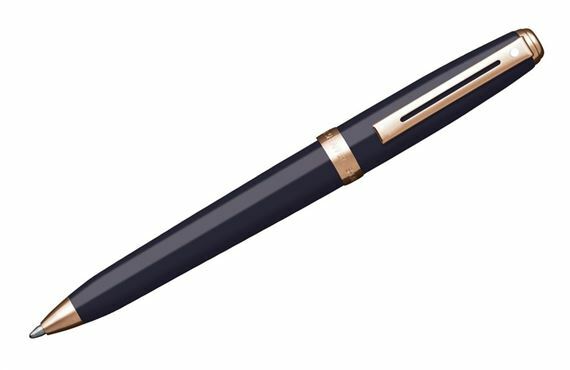 Order your Sheaffer Prelude Lacquer Ballpoint Pen today from FahrneysPens.com. Fine Pens, Refills & Luxurious Gifts – great prices & fast shipping. Many great thoughts begin with a perfect pen like the Sheaffer Prelude. A slimmed down version of the Sheaffer Legacy (a favorite from yesteryear), the new Sheaffer Prelude will appeal to fashionable and traditional writers alike in modern lacquers accented with gunmetal and rose gold plated trim. The classic profile is comfortable in the hand for a pleasurable writing experience - a great choice as an everyday writer. Its tapered cap and streamlined clip carry the world-renowned Sheaffer "White Dot®" symbol of quality. The fountain pen features vintage-style engravings on its flexible steel nib. You'll also experience Sheaffer's superb engineering and performance when you use the twist ball pen or capped rollerball. Choose from sporty black lacquer with gunmetal trim or demure navy blue with rose gold accents and record those brilliant thoughts with great taste and style!. 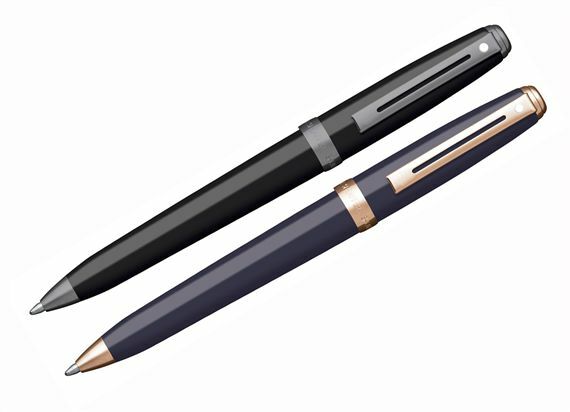 Complete your collection today with the matching Fountain Pen and Rollerball Pen. A very good pen, especially at this price point. A little heavier than standard and wider in girth. 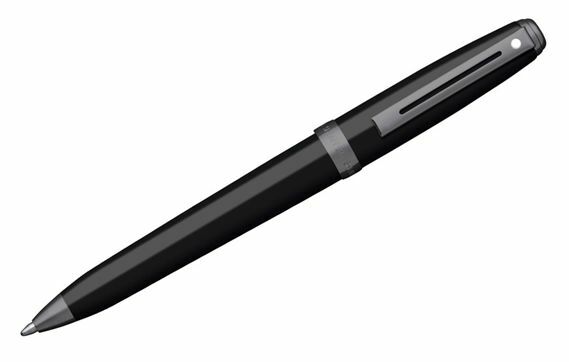 Precision and smoothness of the mechanism is typical of a more expensive pen.